The Yealink Video Conferencing Phone VCP40 is a best choice for Video conferencing systems that delivers superior performance for small to medium-sized meeting rooms. 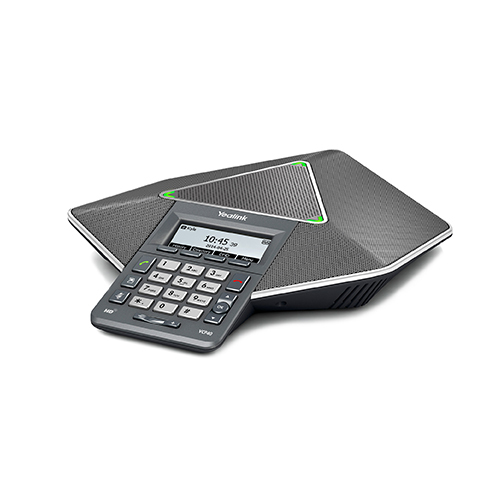 The VCP40 video conferencing phone can be used as the speakerphone and microphone for the endpoint. It supports 360-degree audio pickup at a radius of up to 3 meters to achieve ultra-HD voice. With an optional expansion microphone KIT,the voice pickup range can be extended to up to 5 meters. 14 KHz CD level broadband audio quality, plus a number of new leading-edge professional voice processing technologies, guarantee users an excellent audio experience and make your conference calls more efficient and productive.